The North Face Men's Thermoball Hoodie Conquer Blue Size X-Large | What Should I Say? Redesigned with a sleek silhouette, this new hoodie features ThermoBall, powered by PrimaLoft our new synthetic alternative to down that achieves phenomenal warmth in cold and wet weather. As compressible as down, the clusters of round synthetic ThermoBall trap and retain heat within small air pockets to provide effective insulation, even when wet. 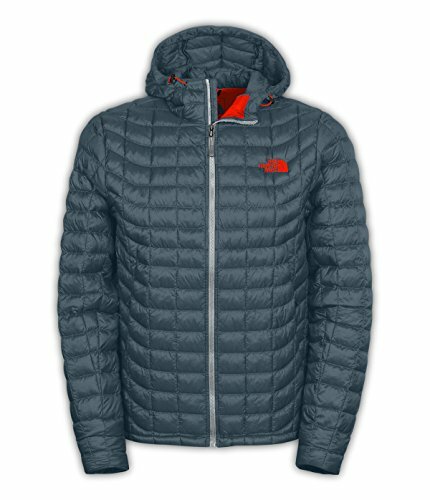 Wear or pack this highly compressible, ultralight zip-front layer for reliable thermal insulation in a variety of winter conditions.